Photos: The Parade Through the Eyes of a Tankist! 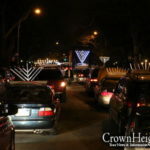 Photographer Shmuli Tuvel, who drove a Mitzvah Tank in this year’s parade, didn’t leave his camera at home; his unique set of pictures show the inside looking out! this is truely inspiring! 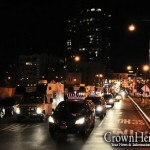 its amazig what a big kiddush hashem every one made for the rebbe! i had an appointment with a child in the city, and ofcourse after a long wait and the painful doctors visit my 3 year old fell asleep in a stroller. as i was waking down to the subway i was worried how i will manage getting down the steps to the train (68 street does not have an elevator). 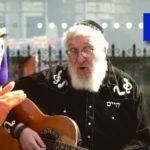 when i came down to the subway there was a mitzvah tank with bochrim giving out shmura matzah, i walked up to them and asked for help and one of the young boys helped me go down the steps. dont know your name but want to say thank you!